The provided CLC Block Making Plant is checked at various quality parameters by our quality experts to avoid any kind of flaw. 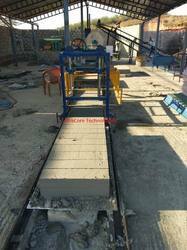 We are offering consultancy for CLC block making machine, which are shut down or unable to operate. Machines with any defectes are also guided. AllTec Industries Manufactures and Supplies Cellular Lightweight Concrete (CLC) Machinery, Foam Generator, Foam Concrete Machinery, CLC Mixers, Wire Cutting Machine, Control, Concrete Modules, Foaming Agent & Mould Boxes, Conveyors. 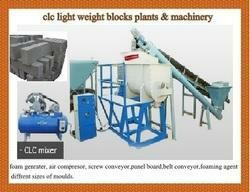 CLC block making machinery and project and turnkey project supplier. Our CLC block making machinery are demanded for their features like low power consumption, easy operations, low maintenance and excellent performance.